Summertime is entrenched in Twentynine Palms and the heat is on. (although, blessedly the temps were much gentler this last week) Visitors from out of state and out of the country seem to enjoy the triple digits on the thermometer and every so often when the door opens at MitaBee ~ Art and Books there is an unfamiliar face. Lured away from the comforts of a cool hotel and pool they have ventured out to explore our little city. What is missing this time of year is the steady flow of locals that once populated our streets and bolstered the local economy by spending their hard earned dollars at the various small locally owned businesses. Think Local when planning that next shopping trip. The slow times do give me the perfect opportunity to work on my petite assemblage pieces in my onsite studio. 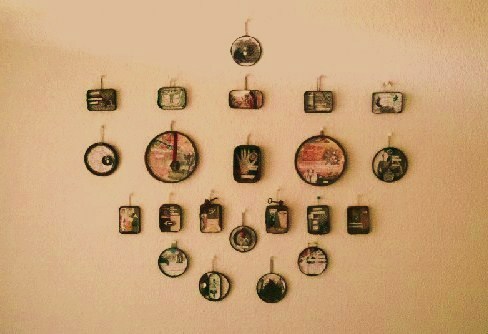 Small rusty tins (often sardine cans with their vintage key attached) surrounded one of a kind collages. Pieced together with faded photographs, old maps and words clipped from discarded books then adorned with found objects and bits of forgotten memorabilia. Rarely measuring over 4″x 2″ and priced at 30.00 each these small moments in time are the perfect hostess gift or birthday present. Easy to mail and easy to hang. There is always room for one more MitaBee! I have finished 3 series since May, the first using a background of fabric from a dress I found wrapped around a creosote bush along a dirt road in Wonder Valley, the second series features a vintage playing card with an image of a Joshua tree and for the third series I used joss paper printed with a hand carved original image of a Joshua tree. my rusty bits, my used books and MYSELF! In closing, if you haven’t been in to MitaBee ~ Art and Books, please drop by . If you have visited but it has been awhile, check back, we have new books and new art every week! Open Friday, Saturday, Sunday and Monday 9-5. Friend us on Facebook for the latest news, happenings and sales! And you can also find me on my new online gallery at ArtFire! The Shrine Auction is Open! Over 25 artists have contributed stunning pieces to the 4th Gallery of Hope online auction to benefit the street children of Oaxaca, Mexico. I am honored to be included with these remarkable, talented and caring individuals this year. The website is now available for viewing and registration and the bidding lasts a short week so waste no time. Please read browser notes at bottom of this post if you have trouble accessing the link. 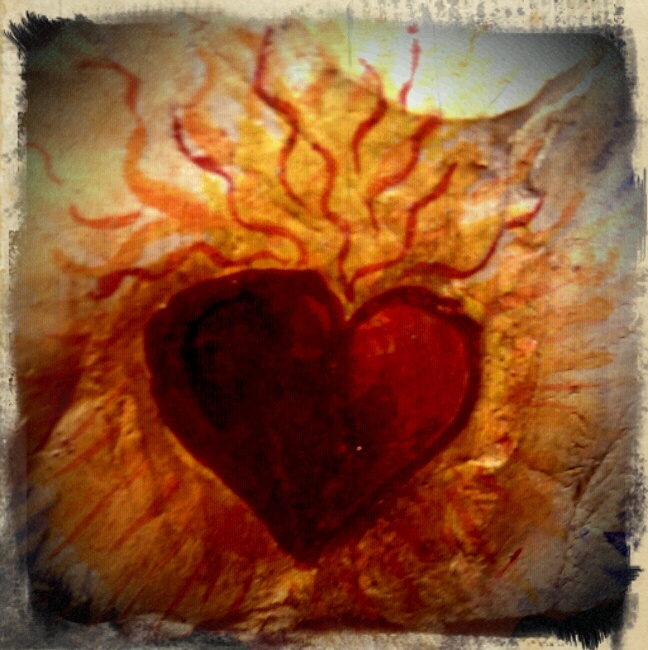 “Imagine a virtual gallery teaming with love, compassion, inspiration, kindness and joy. 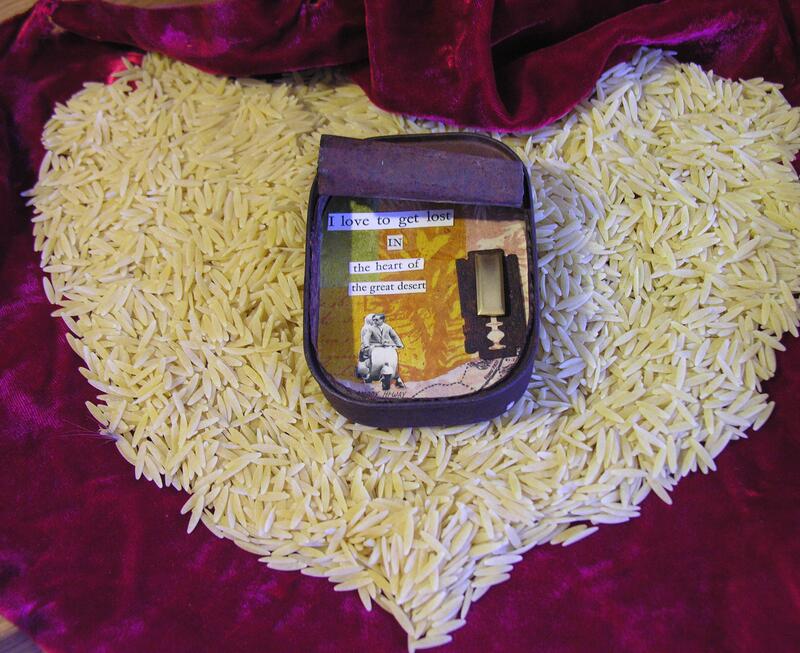 A gallery where each offering was created with the intention of making a bright difference in the lives of others. Please join our efforts and help us transform hope into reality for children in need”. You will need to access with firefox/mozilla or google chrome, internet explorer does not seem to work. Mozilla/Firefox are alternative BROWSERS to Internet Explorer if you do not have these browsers use the links below to download them. Spring clings to the Desert a little longer this year! Normally by this time of the year we are hitting 100 degrees with some regularity. But not this year and I , for one, am ecstatic. I think, create, and function better when the mercury is lower. I just finished 4 pieces of art for Woods in the Desert Art Gallery . Andy is celebrating the one year anniversary of his gallery in Joshua Tree , California this month with new works by featured artists Robert Arnett, Scott Monteith, , Rik Livingston, Mike Smiley and Mike Fagan and me! My piece “Time Flies” is featured in the postcard advertising the event, thank you Andy! 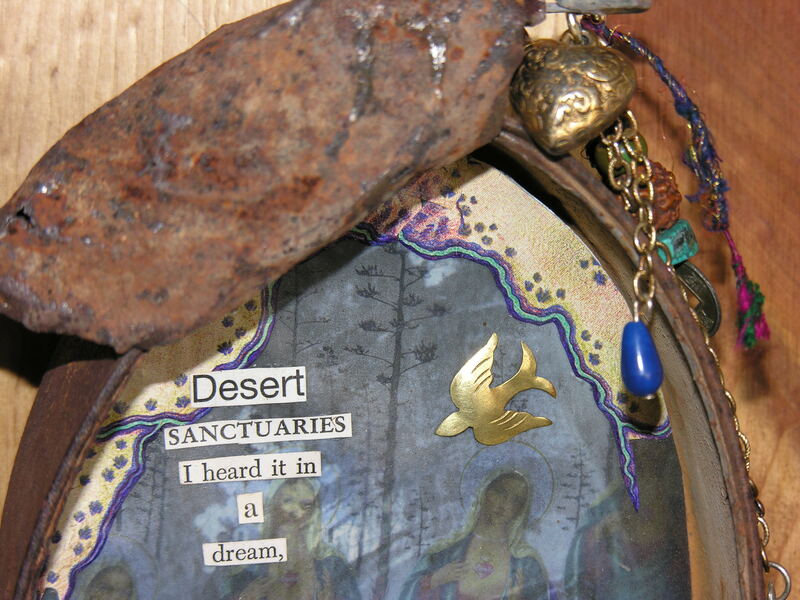 The Artist Reception is this Saturday, May 14 starting at 5pm as part of Joshua Tree Second Saturday Gallery Crawl. Hope to see you there! 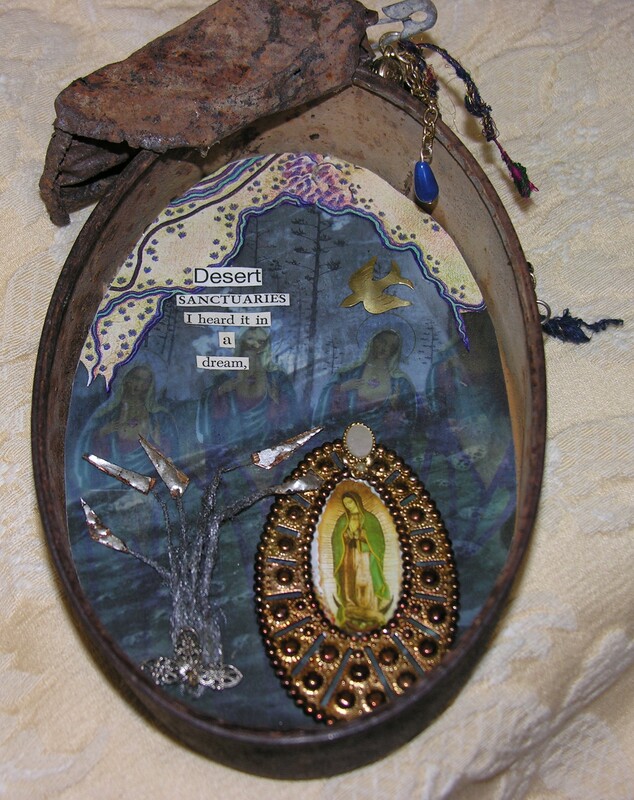 This is the finished “shrine” piece that I made for the Gallery of Hope . I am please to be part of the Third Annual Gallery of Hope. 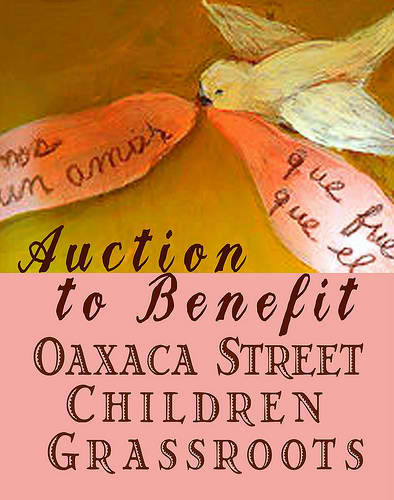 This worthy cause raises money for the street children of Oaxaca Mexico. Take a moment to visit this grassroots organization that supports by offering a hand up, encourages positive change through education, and “pay it forward” ideals. Supporting the lives of countless indigenous children who otherwise would never have the opportunity to go to school. 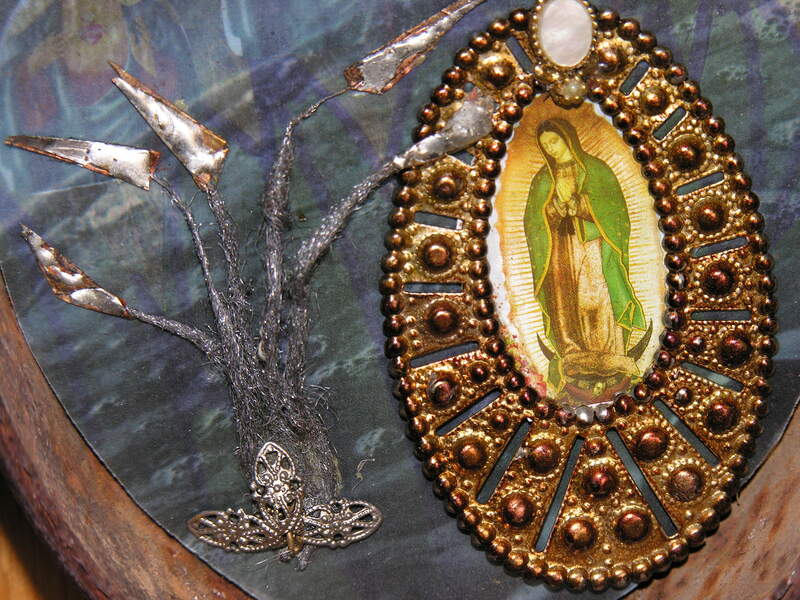 Participating artists create shrines that are then auctioned off online. 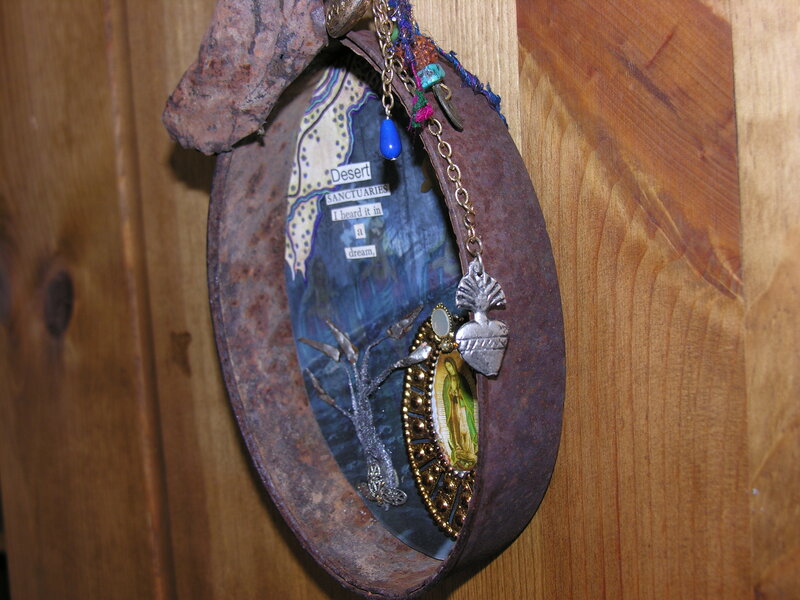 Get a peek at some of the beautiful shrines created . I am still working on mine! Joshua Tree, California ~ Woods in the Desert Art Gallery in Joshua Tree is opening for the new season this Saturday, September 25 with an evening artist reception starting at 6 pm. Featuring new collections by Mike Smiley, Wally Pacholka, Robert Arnett, Mita Markland Barter, Rik Livingston, John Greenfield, Scott Monteith, Bonnie Brady and Ed Keesling. The artists will be showing new pieces as a ‘sneak preview’ of what you may see at their studio during next month’s Hwy 62 Art Tours. Woods in the Desert Art Gallery is located at 61325 Hwy 62 (Twentynine Palms Hwy) Suite D, Joshua Tree. After the reception on Saturday, the gallery will be open Tue-Sat 9-5, 760-399-7075.